Meanwhile, melt butter in small saucepan over low heat, add worcestershire sauce and remaining ingredients, stir. 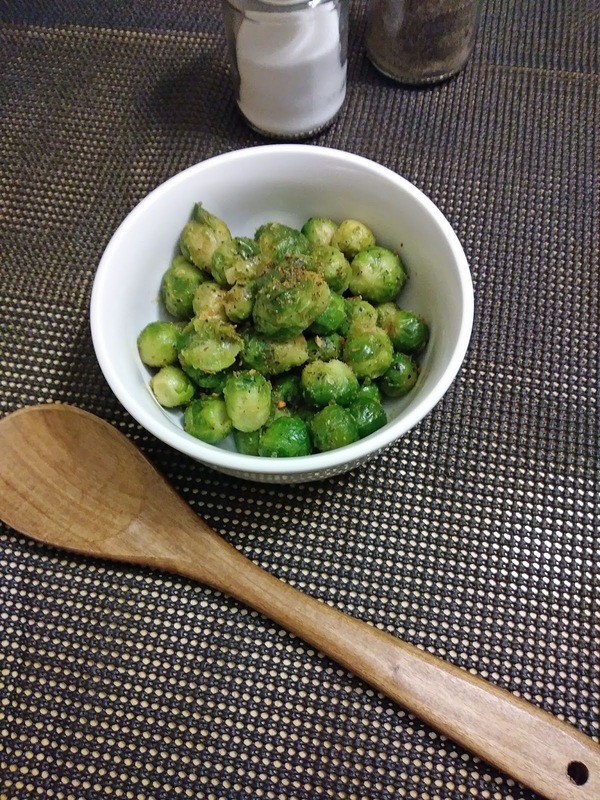 Once the brussels sprouts are cooked, carefully open bag and place brussels sprouts in bowl. Drizzle butter mixture over vegetables, gently toss, making sure to coat all brussels sprouts. This is the best way to enjoy Brussels Sprouts... Yum! Im so glad I gave these veggies another chance!